Originally self taught Martina later studied accordion with Philippe Piquot whilst living in Paris and holds a teacher’s Diploma (LTCL) in music education (Trinity College London). 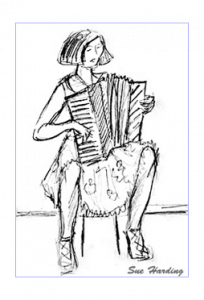 Martina has many years of experience in teaching the piano-accordion to students of all ages. It is important to her to meet the needs of the individual student. This can range from preparation for graded exams to helping arranging for accordion or just having fun exploring this versatile instrument. Tunes can be taught by ear or using sheet music, always driven by the music and style the student wishes to learn. There is also a possibility to hire an instrument if you don’t have an accordion already. Martina also arranges music for easy accordion in order to have an inspiring repertoire from the very beginning. 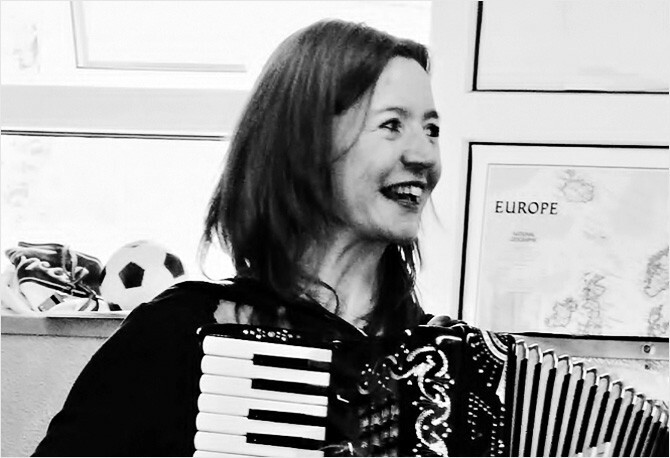 The accordion music publisher “Kestrel Publications” has published Martina’s “Four pieces for solo accordion” under the title “Sweet Trouble” which also won the national accordion composer’s competition in 2006. She won the competition again in 2009 with her composition “Rapid Eye Movements”. Lessons take place in Stoke Newington, London N16. 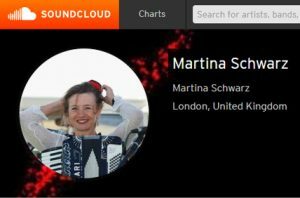 You can listen to Martina’s compositions and other audio samples on Compositions.